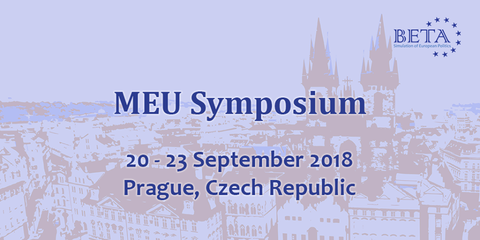 We are currently looking for a Director-General for the 2018 edition of the MEU Symposium taking place in Prague. This is a 3-month project specific position, reporting to Mr. Nick Madzarov, BETA Treasurer. The Director-General will be responsible for all the content and logistical aspects of the Symposium. BETA e.V. and/or BETA Czech Republic membership is required. It is also desirable that the successful candidate has attended earlier editions of MEU Symposium. Deadline for applications is Sun 22nd July 2018.